TAMPA, Fla. – The United Soccer League announced on Tuesday Reno 1868 FC’s Chris Wehan had been voted the 2017 USL Rookie of the Year after a breakout year that saw the former University of New Mexico standout tie the USL single-season record for assists in a remarkable year for the 2017 USL expansion club. Wehan received 72 percent of the vote to earn the award, with Louisville City FC’s Richard Ballard and Bethlehem Steel FC’s Santi Moar finishing tied for second place with 14 percent apiece. A 2016 Conference USA All-League First Team selection for New Mexico, Wehan made his professional debut in 1868 FC’s inaugural contest in the USL and built a prolific rapport with Reno forwards Dane Kelly and Antoine Hoppenot on his way to posting 12 assists during the regular season. The mark tied Wehan with Matt Dallman’s total for the Pittsburgh Riverhounds during the 2013 USL regular season. 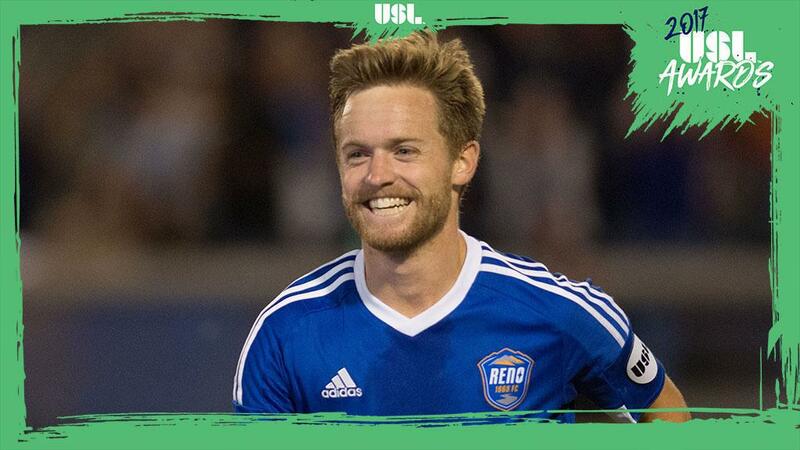 Wehan also came through as a goal-scorer for 1868 FC, finishing third on the team with eight goals, as Reno set a USL single-season record with 75 goals in the regular season.